Mikhail Svetlov/Getty ImagesU.S. 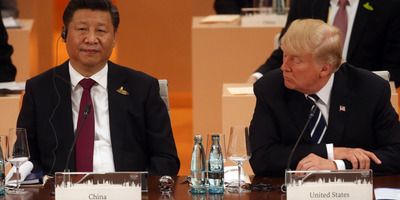 President Donald Trump (R) looks on Chinese President Xi Jinping during the plenary session at the G20 Summit on July 7, 2017 in Hamburg, Germany. 1. 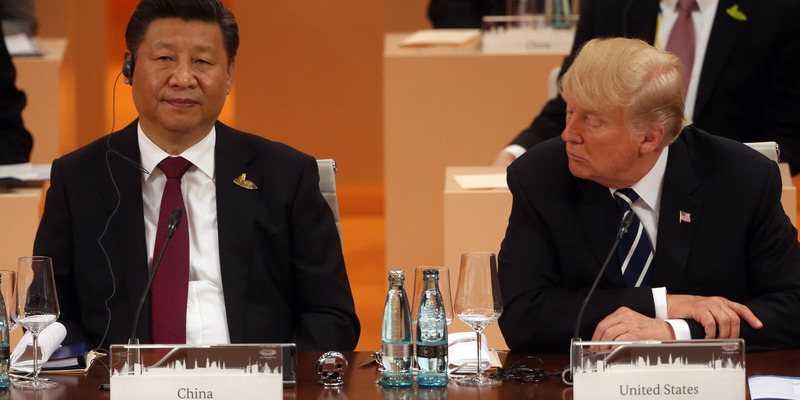 Trump is either about to sort out the whole trade war thing at the G20 summit … Or we are all going back to a deep dark economic cold war sometime over the weekend. 2. Facebook’s Sheryl Sandberg wondered whether George Soros was shorting the company stock. In fact, the chief operating officer reportedly wanted opposition research to go hard on the billionaire. 3. In other not-such-a-good-look news, the Trump Organisation wanted to gift Russian President Vladimir Putin the top-floor penthouse of a Moscow Trump Tower. Michael Cohen, President Donald Trump’s former longtime lawyer oversaw the project. He pleaded guilty on November 29 to lying to the US Congress. 4. Google’s Dragonfly execs sought to hide the giant’s China search plans from their colleagues. They didn’t take written notes and isolated internal teams to keep the plan secret, just in case Google employees got angry. 5. Tesla boss Elon Musk says owners will be able to call on their cars from a long, long way away. “You can summon your Tesla from your phone only short distances today, but in a few years summon will work from across the continent,” Musk said. 7.Those Millennials are killing a whole bunch of once-strong industries. According to the Fed, it’s mostly just because they’re poor. 9. The Kremlin discovered a new and unpleasant way to find out the US president is not coming to a meeting. It is called a tweet. And not invading Crimea is how to avoid them. One ticket, two days, more than 50 insightful speakers, and over 600 executives: Business Insider’s flagship IGNITION conference headliners include Mark Cuban, Janice Min, Sir Martin Sorrell, and Barbara Corcoran. Join us for IGNITION, December 3 and 4 in New York City.